The entire world is looking for peace. With hypnosis, that peace can be obtained one woman at a time. It begins with inner peace which ultimately manifests itself as outward action toward a peaceful world – even if that “world” is only your home or neighborhood. My Inner Peace for Women Hypnosis MP3 brings about changes internally, that lead to peace both within and on the outside. Women can achieve inner peace through hypnosis because it allows them to become connected with their real thoughts and feelings. It is a method of self reflection and meditation that allows negative thoughts to be removed and new, more positive feelings put in their place. The process of hypnosis itself creates a peaceful feeling. It teaches women how to completely relax, something they may not have really done for years. Even when physically resting, there may not be true relaxation. Hypnosis is able to achieve real and complete relaxation by focusing on relaxing the mind. The body just follows suit. Clinical Hypnotherapist, Steve G. Jones, recognizes the differences in the way men and women think and hold onto problems mentally. In Inner Peace for Women Hypnosis MP3 audio he targets the stressors that affect women and how women deal with them. He is able to target the hypnosis to create more peace and greater happiness in a way that helps women specifically. Steve G. Jones, Ed.D., Clinical Hypnotherapist, charges $1,500 for a custom recording and $25,000 for a one-hour private hypnotherapy session at his office. but you can get all the benefits for this low price. Simply listen to the Inner Peace for Women Hypnosis MP3 download every night as you go to bed for three weeks and feel the changes happening in your life. You will feel more empowered, more in touch with your true self, and you will truly know that your goals are within your reach. Now you imagine yourself walking to a room. This is a special room. It is your private meditation room. It has wood floors. You are surrounded by objects which relax and empower you, objects which you have chosen to place in your special meditation room. There is a cushion and you slowly walk over to the cushion, that’s right, and you sit down, relaxing yourself, sitting in the lotus position, legs crossed, that’s right, fold your legs, wrists resting gently on your knees, palms facing upward, back straight, chin parallel with the floor, eyes closed. As now you imagine that directly over your head is a beautiful light, a beautiful, calm, healing, cleansing light from which you draw a ray down to the top of your head, down into your crown chakra where it illuminates your crown chakra giving off a purple color. You bring this light down a little lower, down, down to the level of your eyebrows where it illuminates the brow chakra, giving off a blue light, that’s right and as it does you meditate on the idea that you are an amazing woman. You are a beautiful spirit in the body of a female. You are so intensely beautiful inside and out. You are becoming more and more aware day by day of your true beauty. Now you bring the light down a little lower, down to the level of the throat where it illuminates the throat chakra which gives off a silvery-blue light. Now down, down, down a little lower now to the level of your heart where it gives off a golden glow. You find yourself allowing love to flow in and flow out easily and effortlessly. Releasing past pain, opening yourself to future possibilities of love, opening yourself to present possibilities of love, feeling the love of the universe flow through your beautiful womanly body, that’s right, that’s right. Now you bring the light a little lower to your solar plexus where it gives off a red light, relaxing you, cleansing you, healing you, allowing you to truly communicate with your inner goddess self, that’s right. Connecting with your true goddess nature. And down, down, down a little lower now the light moves to your spleen area where it gives off a rainbow of colors illuminating the spleen chakra, beautiful rainbow of colors surrounding a beautiful lady. And the light moves down a little lower now, down to the base of your spine, down to the root chakra where it gives off reds and oranges and now all the colors swirl together, swirl together in a beautiful rainbow of color, surrounding you, filling you, that’s right, that’s right. And anytime you choose you can return to this feeling throughout your day. At any time you can return to this feeling of calm serenity where you are in touch with your true goddess, beautiful nature. You will now and forever more have this gift, this ability to tap into your true self. It is very important for you, as a woman, to be at peace with your mind, body, and spirit. Hypnosis is a great way to achieve inner peace because it is a relaxing, natural, and safe method. You, like most women, probably lead a very hectic and often stressful life. Be aware of the fact that you cannot control everything that happens in your life, but you can control your inner strength. When you have inner strength, you have inner peace. 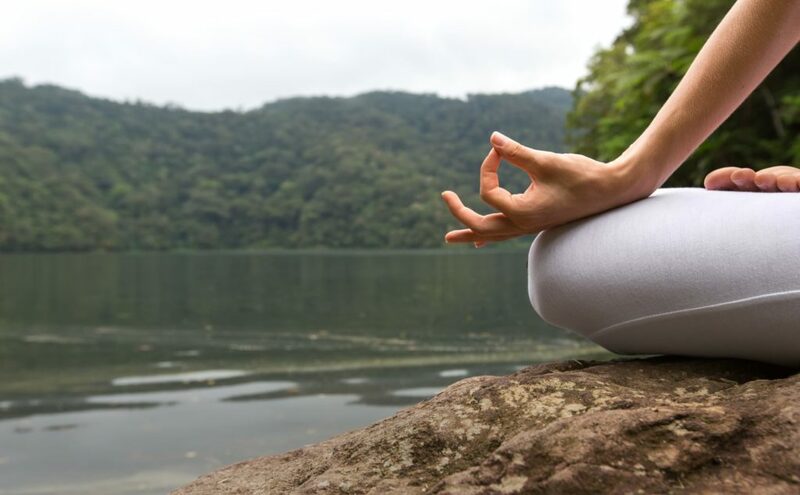 Inner peace is a sense of calm that you can create within you and hypnosis can help. Hypnotherapy allows you to look inward at the real you while blocking out the world around you. Inner Peace for Women self-hypnosis will give you the serenity and relaxation you want and deserve in your life. Inner Peace for Women Hypnosis MP3 session will give you strong and positive suggestions in order to help you develop inner peace. These suggestion will target your subconscious mind to reduce worry and inner conflict that plagues most women. You deserve to be happy and at peace with your mind, body, and spirit. You are a strong and capable woman and you can have inner peace! 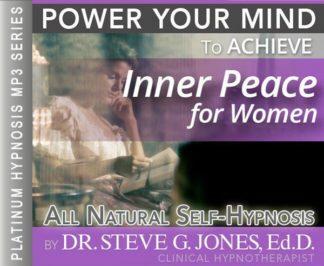 We suggest that you listen to the Inner Peace for Women hypnosis recording for 21 nights in a row as you go to sleep each night. Your subconscious mind will stay alert and help you absorb the powerful suggestions on the recording.